We have built electrical systems for all off-road and rally applications, all over the world from Japan to Brazil, with proven results. These systems are custom built using our switch panels and relay controllers. Give us a call or an email to further discuss your needs. Have a drift car you are building? No problem, we have done many drift car combinations. These system are made to order and can be adapted to suit your needs, using our switch panels and relay controllers. 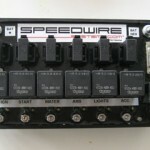 Speedwire naturally aspirated all motor systems. These systems can suit any individual needs. 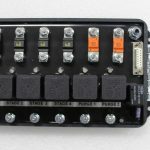 We have examples of the various combinations we can have between switch panels and relay controllers to meet any requirements, whether it be for race car, rally car, drift car, etc. 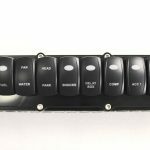 For naturally aspirated race cars, depending on your switched requirements we can have a 6, 8, or even a 10 switch panel for the top sportsman racer. Please call us for more information and we can guide you as to what will work best for you. 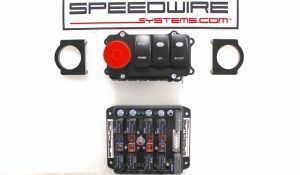 Our staff knows race car wiring and we have done so many systems with different combinations that we will ensure you make the right purchase the first time. 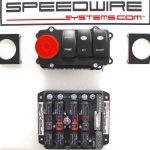 Speedwire Systems for Blower / Turbo / Supercharged Systems! These systems can be made for any turbo or supercharged application, whether it be alcohol or gas. Most alcohol systems will have our 6 switch panel that can be made with or without the MAG button. For gas vehicles running fans, water pumps, etc., the 8 switch panel is the more common one we sell. 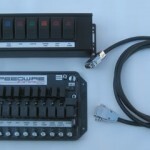 This system is our most popular 6 switch panel and 8 relay controller. The switch panel can be made any way and labelled as needed. Switch panels can have the MAG button optional added to the switch panel. 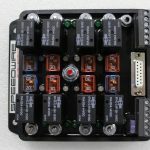 Our 8 relay controller will provide all the switched power. 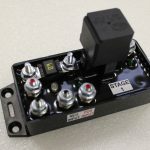 Measuring only 4.5 by 5 inches, it is our most compact relay controller. It can also be configured to have a boost arming interrupt circuit, which may be needed for EFI systems that need this function for data logging or traction control. This is our newest addition to our switch panels. They are CNC machined out of billet aluminium and anodized black. They are made in a 6, 8, and 10 switch configuration. We also have small lightweight aluminium billet brackets to mount switch panel to roll cages. Most roll cages require 1 5/8 bracket; however, upon request, we do have various sizes to suit your specific needs. 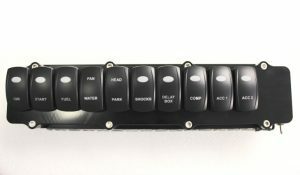 We also have an optional LED interior light that is at the bottom of the switch panel, with its own tiny toggle switch. This light comes in handy for night racing; no need to have your crew member bring a flash light to look inside the car, as this LED light is bright enough to brighten any interior. And we now offer back light laser etched switch covers, with custom switch cover engraving. 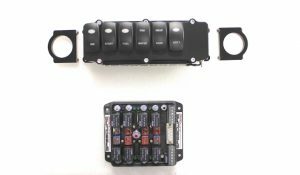 There are also in-dash roll bar mount switch panels as pictured here on this page. 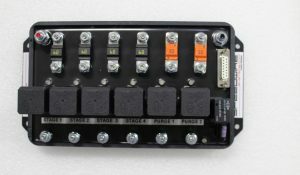 This is our workhorse power distribution relay controller. Each circuit is built to handle 50-70 amps, and can handle more than 200 amps. 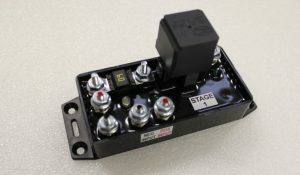 Measuring 8.5 by 5 inches, this controller has been used for high power applications, commercial industry, racing, and off road vehicles. With endless configurations, it can be adapted to fit any requirements. It is the controller to win the five vehicle DAKAR RALLY RACE championship, enduring a 3000 mile race in the harshest environment. 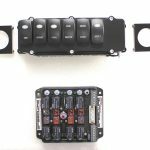 It can be used with any switch panel configuration. This is our lightest, smallest relay controller, measuring 4.5 by 5 inches. Don’t let this small package fool you—it has all the capability and power needed, used in many applications, including some of the world’s fastest PRO MOD cars. This controller can be adapted for any application and can be configured to work with your needs. It can be used with any switch panel configuration. Our flagship control board system with Switch Panel. 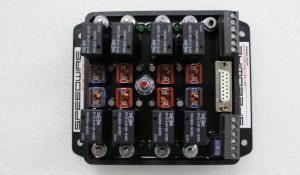 Measuring 8.5 by 5 inches, this compact high power relay controller has all the features many racers can appreciate. 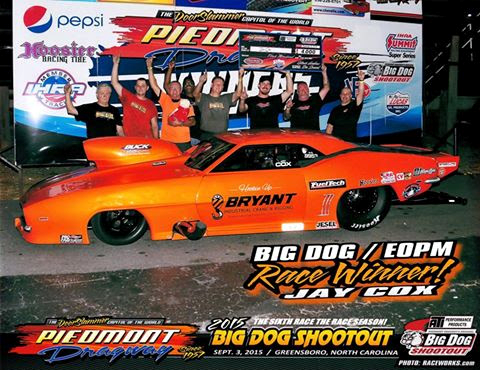 It has been used in the world’s fastest 10.5, drag radial, and promod cars.